Makeup Brand Highlight: Virginia Olsen Minerals* | Vanity and Everything in Between. If there's a certain makeup that you must not miss trying, it's definitely mineral makeup. As we all know, mineral makeup is on the safer side when it comes to its contents/ingredients. I've been using mineral makeup since 2009. There were months that I used purely mineral makeup. I'm glad that I don't break out from using mineral makeup as there are some that still breakout from using it. 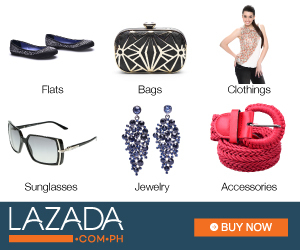 Last year, a new mineral makeup brand was launched in the Philippines. It's no other than Virginia Olsen Minerals. Beauty bloggers have raved about this brand for months. I admit, I was very curious to try this brand as well because it was just everywhere. So, imagine my excitement when Jirbie, VO's marketing manager, invited me to their office to try out their products. I didn't think twice and said yes! That invite was an intimate event with other beauty bloggers for their Holiday collection which was called Fantasy. 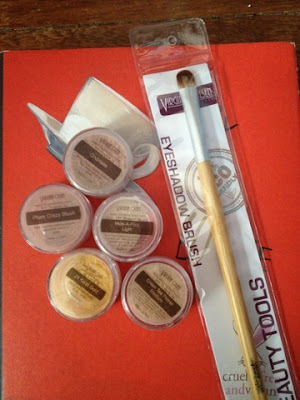 It was my first time trying VO's products. They have several unique eyeshadows which will really make your eyes pop! Personally, I was impressed with their gold eyeshadows and their makeup brushes. The brushes are super soft, I tell you. I didn't go home empty handed. I came home with several products from Virginia Olsen and I've been using them since October. And I know I still haven't made a post about their products. The posts just haven't gone live yet but they are already in my drafts. The photo below are the products that I received from Virginia Olsen. This is good news to my readers and to anyone who will stumble upon this blog! 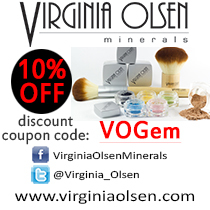 So make sure to use VOGem upon check out on Virginia Olsen's website to avail of the discount! Expect more reviews about Virginia Olsen's products as well! Follow Virginia Olsen on Twitter and Facebook for updates! I would like to thank Virginia Olsen for selecting me as one of their Blogger Affiliates! Thank you so much for this opportunity and giving discount to my readers!